The Department of Immigration and Border Protection has intercepted an illegal fishing boat approximately 270 nautical miles north of Christmas Island. The fishing boat is called Viking. In April 2015, the master of the Viking was found guilty of fisheries charges in Malaysia. 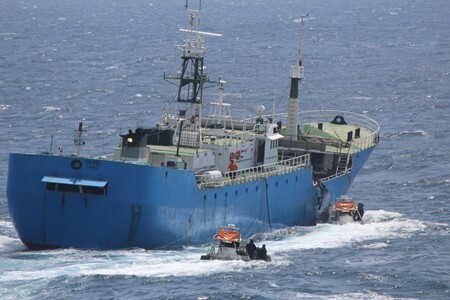 This is the third interception and boarding of a fishing vessel known to have operated in defiance of international conventions in the Southern Ocean and the department believes the vessel is to be operating under a false flag. The Australian Fisheries Management Authority will conduct further inquiries in relation to the vessel’s nationality, ownership and authority to fish. The department said it is committed to protecting Southern Ocean marine resources from transnational crime syndicates.